Cocoa is far from the only ingredient in Betty Crocker baked goods, but when you long for a brownie, it’s likely chocolate that you’re craving. We use high-quality cocoa in everything from baked goods to cereal to snacks. 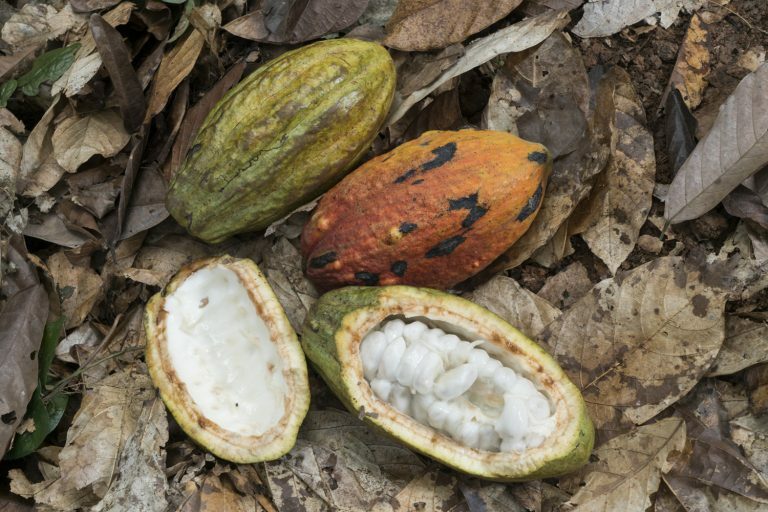 Making sure that cocoa is grown in an environmentally sustainable and socially responsible manner is a priority for General Mills. We know consumers are increasingly interested not only in where their food comes from but how it is grown and by whom. We share consumers’ desire for transparency. For that reason, we made a commitment in 2014 to sustainably source our top ten priority ingredients by 2020. Today, we sustainably source 90 percent of the cocoa we purchase and are on track to meet our goal of 100 percent by 2020. 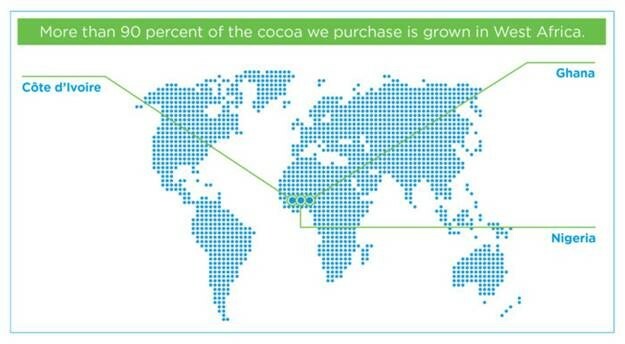 Approximately 90 percent of the cocoa General Mills purchases is grown in West Africa, primarily by smallholder farmers. To help ensure that these farmers earn a fair price for the crop to support their families, General Mills works with key partners in Côte d’Ivoire, Ghana and Nigeria to improve the sustainability of cocoa production, improve smallholder farmer incomes and ensure the highest quality ingredients for our products. Cocoa farming is a labor-intensive process. 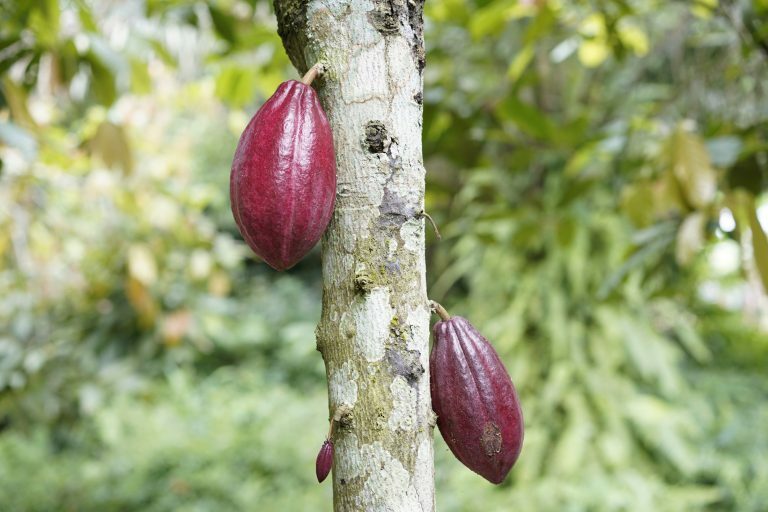 The economic viability of this crop is just one of the challenges in the cocoa supply chain. Farmers often face low yields due to low productivity, degraded soil fertility, pests and other environmental factors. Helping families keep children in school rather than working on cocoa farms is also essential. Deforestation is a growing risk in some areas due to encroachment on forest reserves and protected areas, pressure from people migration, and lack of knowledge on agro-forestry best practices. General Mills partners with our cocoa suppliers, NGOs like CARE and non-profit international membership organizations like the World Cocoa Foundation (WCF) to help improve the economic, social and environmental sustainability of cocoa production in our supply chain. And our sourcing team has embedded sustainability into our work with key suppliers to provide direct support to cocoa-growing communities in West Africa through programs that help smallholder farmers increase yields and grow high quality cocoa to improve farmer incomes. 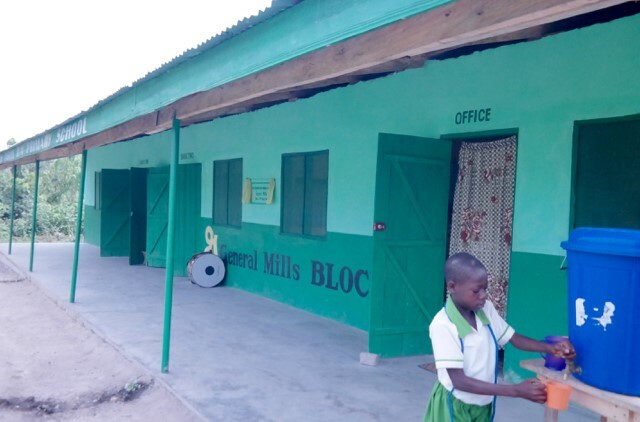 General Mills also provides funding for programs in cocoa-growing communities to improve food security, access to clean water, education, women’s empowerment and other needs. 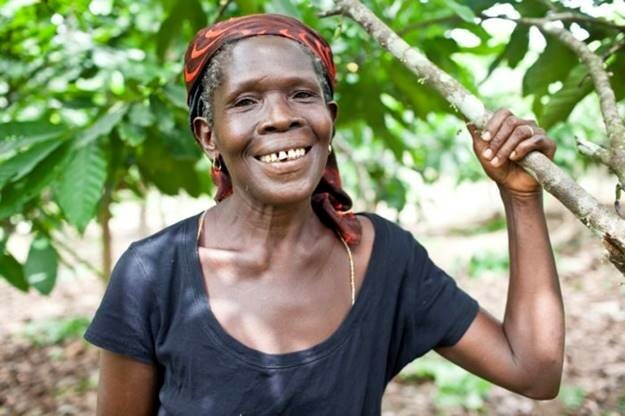 Akua Krampa, a 58-year old cocoa farmer in Ghana, has risen above all odds to send her three children all the way through high school, an achievement she attributes to her increased income from cocoa production. Photo by CARE. 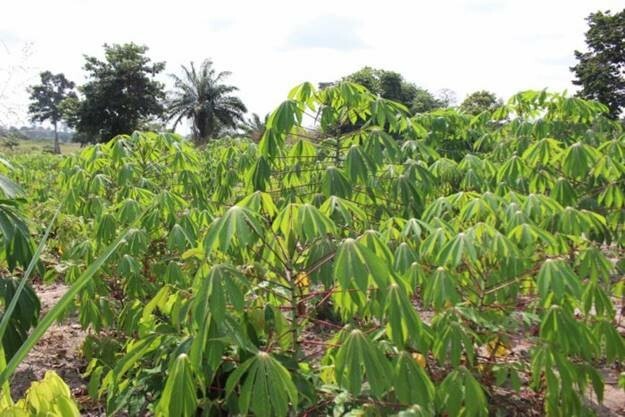 Côte d’Ivoire: 24,700 farmers have received agricultural training, 52,600 farmers have reported higher incomes and 1,500 people have been educated about the importance of women’s empowerment. Ghana: 234 farmers were trained, primary school enrollment increased to 99 percent and household food insecurity decreased 25 percent. Nigeria: 6,700 farmers received training in harvest practices. Today, following the good agricultural practices taught, the yield from my harvest is greater. Now I earn more money and am financially independent. I can also afford the school fees for the education of my children. I appreciate the training sessions and am working to raise women’s awareness about the advantages of cocoa farming. In addition to working directly with our suppliers to address systemic challenges and enforce our Supplier Code of Conduct, General Mills also participates in broader industry initiatives to improve cocoa sustainability. Forest Protection: where one of our priorities is to ensure we understand the origin of cocoa used in our products, to ensure our sourcing is not driving deforestation. To this end, we are committed to achieving 100% traceability to farm for our cocoa supply chains in Cote d’Ivoire and Ghana by 2022. 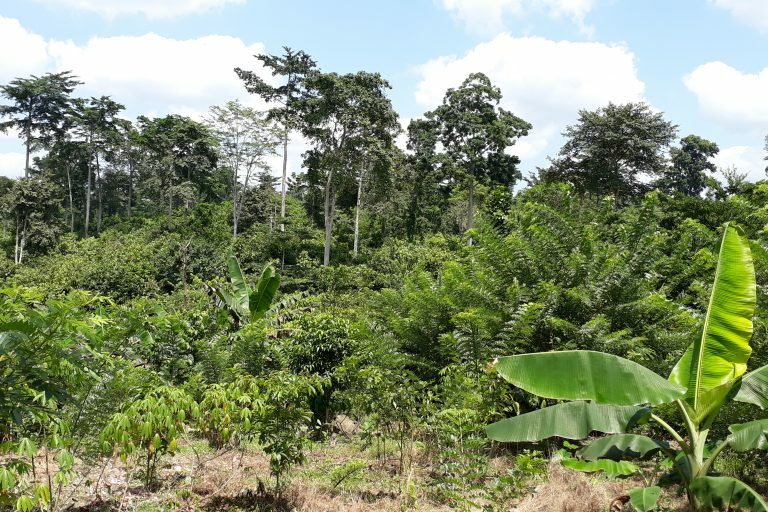 Forest Restoration: where we see the restoration of areas degraded through cocoa production as a necessary requirement for a sustainable, resilient and productive cocoa sector. With the help of the General Mills Foundation, we are currently working with NGO partners to assess landscape restoration and conservation opportunities for future direct origin investment. Sustainable production and livelihoods: where, via our suppliers and delivery partners, we will continue to invest in the long-term productivity of cocoa/farms in our supply base through, among other things, the provision of Good Agricultural Practices training to farmers, the distribution of shade trees and the implementation of agroforestry practices. Community engagement and inclusion: where, via our suppliers and delivery partners, we will undertake community consultations on the CFI Frameworks for Action and continue community-based management models (CBNRM) for forest protection and restoration. We will continue to work with industry partners and provide direct investment for programs in cocoa growing communities to help improve the sustainability of cocoa production and ensure a reliable supply of high-quality chocolate for our products. 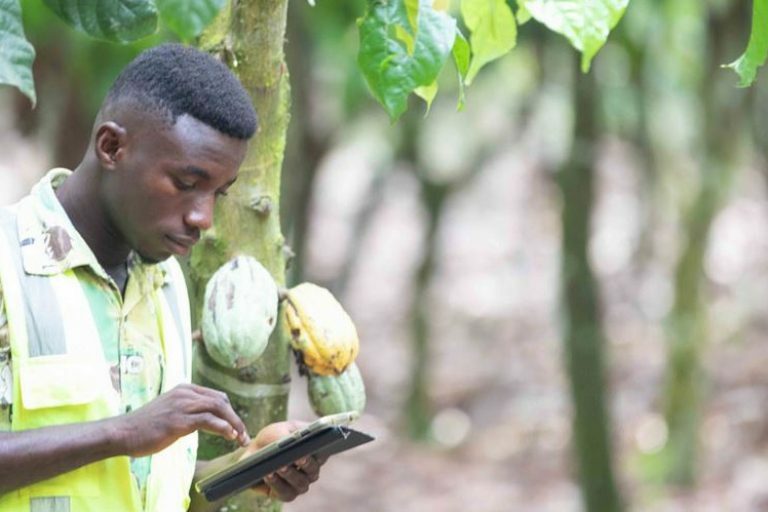 “General Mills is making a difference in the lives of cocoa farmers in West Africa by collaborating with our suppliers and NGO partners who are working directly in cocoa growing communities to improve the economic, environmental and social impacts of growing cocoa,” says Jerry Lynch, chief sustainability officer at General Mills. “Our direct investment in the communities from which we source cocoa is helping to drive cocoa sustainability now and into the future.